If you haven’t noticed by now, things are looking quite a bit different at Medlin – in a very good way. Over the last six months, we’ve been giving a facelift to the Medlin brand, freshening it up to tell the story of our company. In some cases, you may be surprised to learn about several services we offer to support your system that you never even realized. Why the new look? It starts with the story. As we thought about our new brand messaging, we didn’t have to look far. People have often thought of Medlin for phone systems – after all, it’s been a key part of our reputation over the last 25 years and counting – and there’s nothing wrong with that. 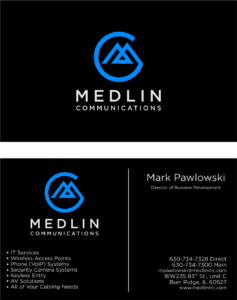 But did you know Medlin can also help you with IT network solutions? Keyless entry for access control systems? Customized security systems? What we’ve come to understand about our customers is that they appreciate the total business partner we are at Medlin. Sure, we can procure the right technological tools for any part of a system. But when our talent is on-site, there’s just a peace of mind that our clients have in knowing we’re here to help advise them on all the things they haven’t thought of. Some of the questions we ask may be related to the work we’re called in for, but some may be about different challenges our client is facing. It’s what happens when expertise and genuine care come together in one team. With this message in tow, you’re going to hear a lot more about how Medlin addresses all the parts of a system – whether that exists within a retail store or a growing, medium-sized business. And by the way, no matter what we tackle, we deliver on our promises. Always. brand. This included a variety of logo design options to evaluate. Ultimately, our team agreed on the new logo you see before you today, an “M” that has a circular motion to it that’s a nod to how our people bring everything in your system full circle, back to your business goals. 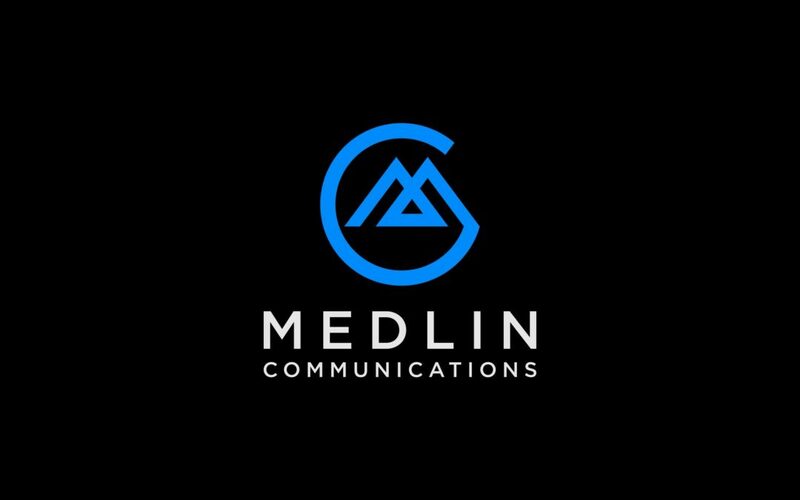 Even though our name is Medlin Communications, we frequently hear customers refer to us simply as, “Medlin,” which is why you’ll see the “Medlin” part of our name is bigger than ever before. This is intentional as there’s just one name – Medlin – that you’ll ever have to remember for your system design and development. This striking new logo made its debut during a client’s golf tournament and looked spectacular in front of attendees. It’s also looking terrific on our business cards, eSignatures in our emails and many other parts of our new brand’s foundation. We’re also more social than ever. You can now see Medlin posting regularly to these social media channels each week, with insights on all kinds of useful technological tips and trends for you to be aware of. Is your organization prepared from a cybersecurity standpoint? How will network computing change over the next year or two? What do businesses need to consider as they transition to a digital economy? We’re sharing valuable information on these social media outlets to help customers like you stay ahead of the curve so you can pivot when and where you need to. One more part of our brand story that we can’t leave out: Our customers. You’ll find it in the Case Studies area of our new website, but we’ve developed a variety of case studies in PDF form that our sales team will be happy to share with you. These stories elaborate on the challenges, solutions and results that we’ve achieved for national retailers such as Staples and Follett as well as businesses like Crane Composites and Visitation Parish. We encourage you to give these case studies a read. You’ll find they truly answer the question of, “Yes, but do they work with businesses like mine?” Chances are, we absolutely do and can provide some outstanding solutions for your system too. It’s a new era at Medlin. With over 25 years of exceptional service under our belt, our new brand reflects the excitement of where we’re headed from here. That’s where our story is today. Now let’s talk about yours. Namely, in the way of what you want out of your system and how it can align with your business goals. The easy way to get started? Sign up for a free network assessment that uncovers the pain points of your system in an 8-10 page report. From there, you can connect with our team at 1-800-4MEDLIN to follow up on those findings and prioritize what works best for your needs and environment.